Melbourne is situated on the banks of the Yarra River and around Port Phillip Bay. There is much to love in Melbourne with its sense of style and elegance. Wherever you go in Melbourne you will find stunning shopping malls, incredible restaurants and a range of cultural festivals- which are hosted by the city from time to time. 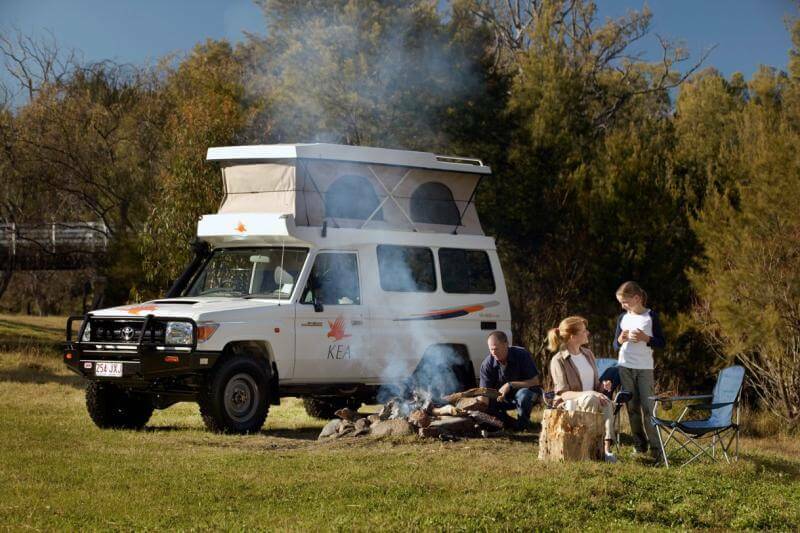 Near Melbourne you will find a large number of 4WD camper Tracks which offer a stunning driving experience to both experienced as well as new 4WD drivers. On top of that are some rocky and mountainous tracks which provide the drivers with a never before adventurous experience. Start up your 4WD rental drive in Melbourne and embark into Snowy River country and Snowy River National Park. There are many tracks in this area for all levels of experience. You will certainly enjoy the 283 km drive from Orbost to McKillop Bridge and back offering spectacular river scenery with deep gorges and waterfalls. When you are at McKillop Bridge find a perfect spot for rock pool swimming or picnic. Visit Craigs Hut (featured in the movie “The Man From Snowy River”) located on Mount Stirling. This is a popular 4WD spot in the area and you can try out the circuit track around Mount Stirling. Driving a rented 4WD camper in dry conditions in Melbourne is believed to be difficult-under Victoria’s new 4WD Recreational Track Classification System. Allow 2-3 days to complete this tour. Travel the Victorias High Country in your hired 4WD camper and drive through sub-alpine forest and rugged escarpment. The Alpine National Park is another ideal place for four-wheel driving and experienced drivers will enjoy driving over the rugged Great Dividing Range from Myrtleford to Wonnangatta Homestead (approx. 108 km). This 4WD drive is best accessed from Mansfield but there are alternative routes from both north via Myrtleford/Bright and south via Licola. Here you will see old mining town ruins, cattlemans huts. Highlight of this drive is the steep descent into Wonnangatta Valley. There are some interesting walking tracks offering stunning views of Bryce Gorge and the 100m high Pieman Falls. Allow 2-3 days for this 4WD adventure classified as Very Difficult in dry conditions. Note: There are river and creek crossings on this route so please check the depth of crossings before entering. Ensure that your 4WD vehicle is properly prepared for the water crossing. Explore the rock formations of Grampians National Park with its network of excellent 4WD tracks. Start at Brambuk (the National Park and Cultural Centre) and head west to Wonderland Range with stunning views over the valley and plains. Drive your 4WD rental Mount Victory Road to MacKenzie Falls. This is worth a stop to see the torrents of water cascade over huge cliffs into a deep pool. Further along you will find Zumstein (early 20th century tourist site) an ideal stop for a picnic. Continue on the unsealed Wallaby Rocks Road towards Buandi and make time to visit the Billimina Shelter (massive rock overhang featuring impressive Aboriginal art). The 4WD rental drive now winds through the Victoria and Serra Ranges to Dunkeld. You will see the rugged peak of Mount Abrupt and the escarpments of Mount Sturgeon at the southern end of the Grampians. The drive now heads north on the Grampians Tourist Road and then right onto Mafeking Road. Suggest a stop to explore the Grampians European heritage at Mafeking Picnic Area. Travel along Mitchell Road for a few kilometres and continue north to the lofty plateau of Mount William and the back to Halls Gap. This 286-kilometre 4WD rental drive is classified as Medium difficulty in dry conditions. This region has a few popular 4WD sites especially in the Murrindindi and Toolangi State Forests. Drive your 4WD rented camper through the landscapes of mountain ash along the high ridges plus a number of river crossings. We suggest you to travel up this track from Andersons Mill Road. Note: The tracks contain a mixture of clay and rock and can be slippery if they are wet. The rocky section of the track is worth trying but remember to put on your differential locks for a challenging drive. This 4WD track is recommended for vehicles with low range and high clearance.